Cornell University professors Tom Gilovich and Travis Carter published research results that indicate something you probably know intuitively: Investing in memorable experiences is more likely to produce long-term happiness than spending money on material things. If you're searching for the perfect present for someone who lives in or loves New England, this guide to incredible New England experiences you can give as gifts will help you wrap up happiness this holiday season or any time of the year. Kids today have too much stuff. But they can never have too many unforgettable experiences. Flying in the vertical wind tunnel at SkyVenture in Nashua, New Hampshire, is a guaranteed memorable bonding experience. A SkyVenture adventure is the perfect gift for everyone from kids as young as 3 to seniors in their 90s. Purchase a gift certificate online or by calling toll free, 888-759-8368. 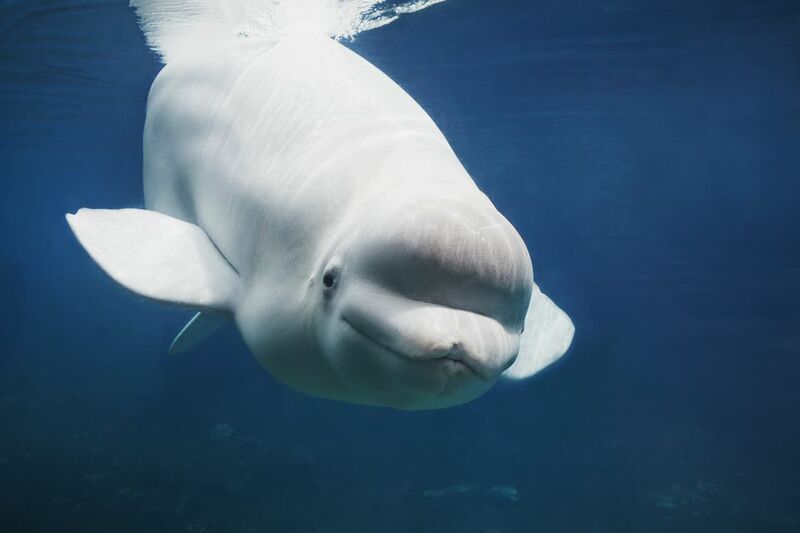 Mystic Aquarium in Mystic, Connecticut offers a variety of encounters where guests can learn about aquatic creatures up close. You can paint with a stingray, pet a beluga whale or even become a trainer for a day! If there's an animal lover on your list, visit the Mystic Aquarium website to purchase. Some activities have age or height requirements, so be sure to read the descriptions closely. Sure, you could wrap up an expensive frying pan or a waffle maker. But the gift the gourmands on your list will appreciate for a lifetime is the chance to savor dinner at the White Barn Restaurant in Kennebunkport, Maine: widely regarded as New England's finest dining experience. Whether you delight someone with the four-course prix fixe dinner or splurge on the gourmet tasting menu paired with wines, this gift is bound to earn you rave reviews. Call 207-967-2321 to make a reservation and give the gift of fine dining. You don't have to journey to Venice, Italy, to spoil your darling with a romantic gondola ride. Simply book passage with La Gondola in Providence, Rhode Island, then wrap up a gift certificate and a lovely bottle of wine. This is guaranteed to earn you more points than any fluffy bathrobe. For the ultimate experience, spend a bit more for a ride on a WaterFire evening. La Gondola operates from March to November. You can buy a certificate online or, for a handwritten certificate, call 401-421-8877. Is there someone on your list who's reliably glued to the TV on Sundays? Football lovers—especially Patriots fans—will delight in a visit to the state-of-the-art Hall of Fame Patriot Place, located next to Gillette Stadium in Foxborough, Massachusetts. Tickets for this interactive attraction can be purchased online, and they make an affordable gift that's a guaranteed touchdown. If you're in search of a gift for someone who usually hibernates come winter, consider purchasing a gift certificate for a guided group or private snowshoe trek at Vermont's Mount Snow. Equipment is provided, and it's the ideal antidote for cabin fever. Call naturespa in the Grand Summit Resort Hotel at Mount Snow, 802-464-6606, and choose a gift that will help a non-skier embrace winter, such as a package that includes a guided snowshoe tour and a relaxation massage. The Beach Plum Spa at the John Carver Inn in Plymouth, Massachusetts, caters to young spa-goers with a menu of services for kids or for children and parents to experience together. Reserve an appointment or buy a spa gift card online or by calling 508-591-8213. Just when many New Englanders have had enough of winter, the annual Sun WineFest at Mohegan Sun in Uncasville, Connecticut, provides an escape. For the price of a couple of bottles of good wine, you can give a wine connoisseur the opportunity to taste and learn about hundreds of wines, plus beer and spirits, too. Grand Tasting tickets can be purchased online, or consider gifting tickets to one of the celebrity chef dining events, special tastings or seminars that take place during Connecticut's largest wine and food festival. New England's most amazing zip-line experience is the Bretton Woods Canopy Tour, which is open year-round at the Omni Mount Washington Resort in Bretton Woods, New Hampshire. Not only is this zip-line experience challenging, memorable and splendidly scenic, it's a true bonding experience for couples, families and friends. Buy tickets online or call 603-278-4ZIP (4947) to give this gift to someone adventurous.